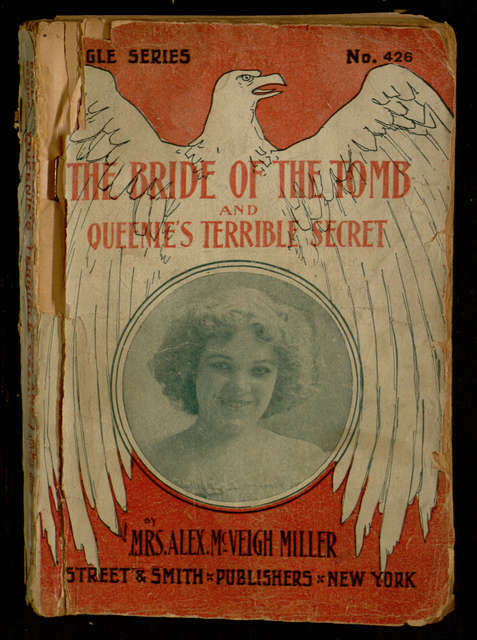 The latest Digital Library offering to enter the distributed proofreaders project is an omnibus volume containing two vintage romance novels: The Bride of the Tomb and Queenie’s Terrible Secret. 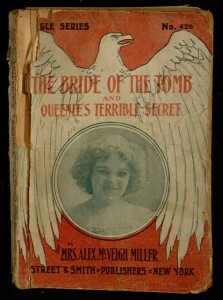 This particular combined edition is part of Street & Smith’s Eagle series of dime novels; covers of other volumes from the series can be seen in Syracuse University Library’s Street & Smith Cover Art Collection. If you want to learn more about our proofreading efforts and find out how to help, see Proofreading the Digital Library.